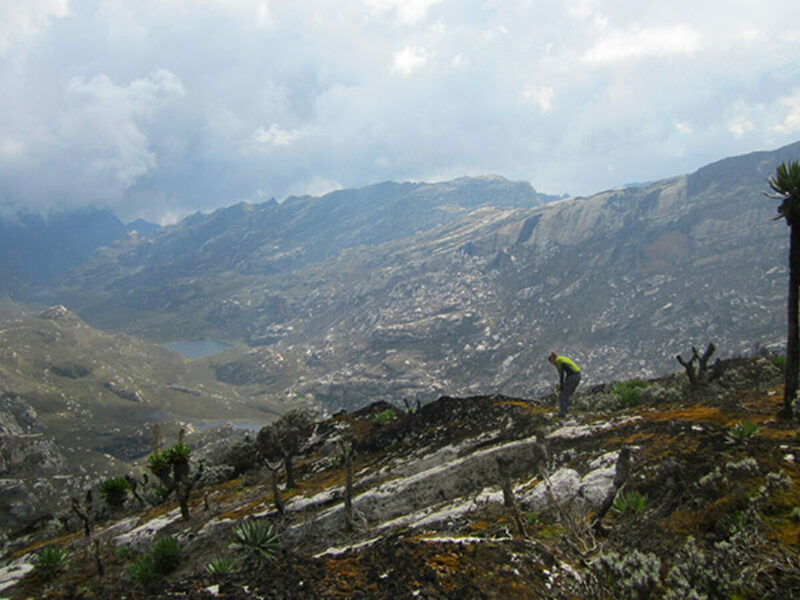 In January, 2015, Alice M. Doughty, a Neukom Fellow at Dartmouth College, Margaret Jackson, a Ph.D. student at Dartmouth College, and James Russell, a professor at Brown University, traveled to the southern section of the Rwenzori Mountains of Uganda to study tropical glaciers and track their changes during and since the last ice age that occurred 20,000 years ago. 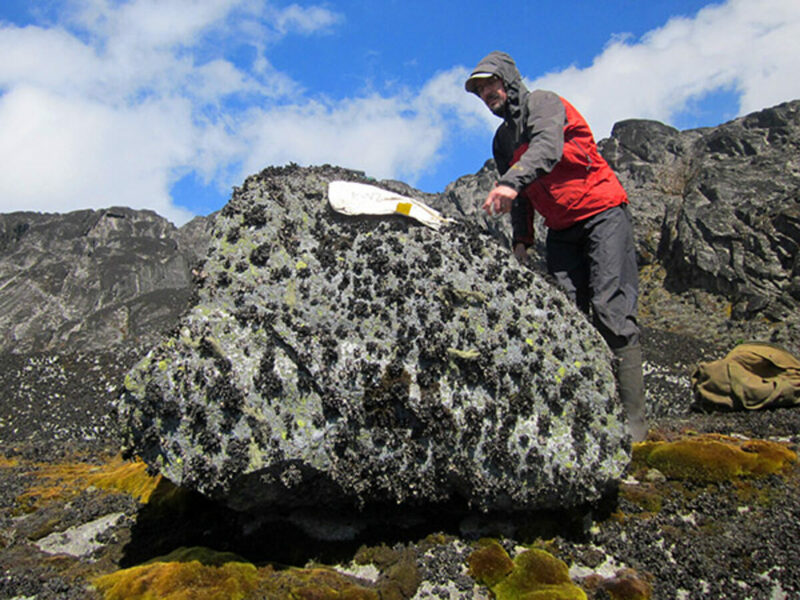 Doughty, Jackson and Russell are working with Comer Fellow Dr. Meredith A. Kelly at Dartmouth College, who has been mapping and dating the moraines in multiple valleys of the Rwenzori. This trip was Doughty’s first time to Africa, first time working at high altitude, and first time with porters. One goal of the trip was to sample boulders for cosmogenic dating. The changes in size of these tropical glaciers over time are related to climatic changes in the mountains, and this team wants to compare fluctuations of tropical and middle latitude glaciers. Doughty will use a computer model to simulate glacier size and infer past climate. "I am a glacier modeler, I use modern climate and topography and impose a change in temperature to grow glaciers out to their previous extents, which are marked by moraines that Maggie will date. Think of it as a really nerdy computer game." 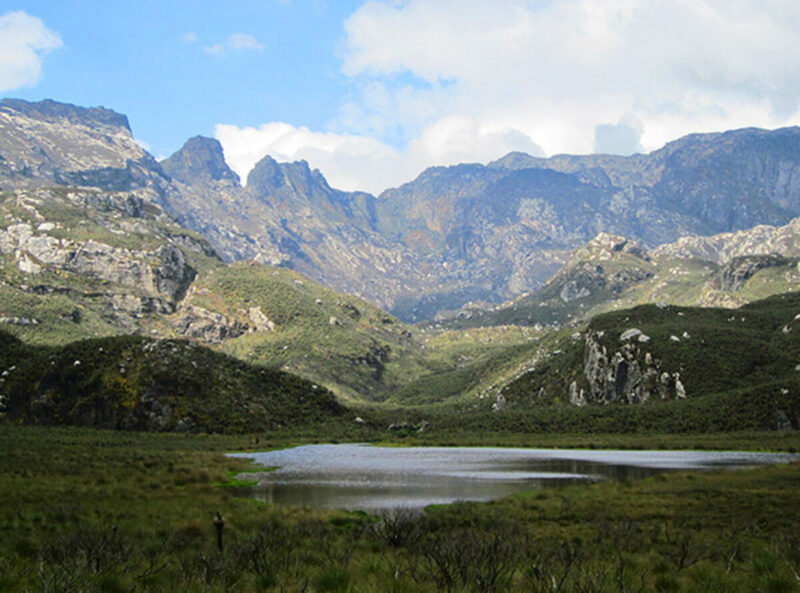 Lake Africa, a moraine-dammed lake in a formerly glaciated catchment of the Rwenzori Mountains. Dr. Alice Doughty, a postdoc at Dartmouth College, investigates bedrock above the Nyamugasani Valley. 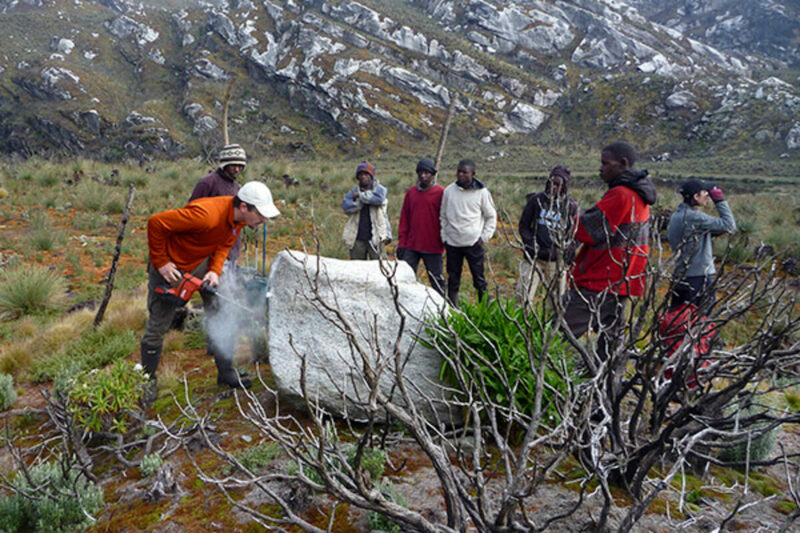 Dr. James Russell of Brown University prepares to sample a glacial erratic in the Rwenzori. Porters watch as Dr. James Russell of Brown University drills a hole into a boulder near Lake Kopello. Margaret Jackson, to the right, is measuring shielding. Why are you going to Uganda? excerpted from Alice's blog December 21, 2014. Learn more about Alice's work: ROCK PAPER GLACIER! An appreciation for glacial landscapes.